Yet another Nigerian baby factory raided as Police storm Rivers state! Yet another Nigerian baby factory raided,it leaves you asking,how many Nigerian baby factories are there in the country?Operatives of the Anti-Cultism Unit of the Rivers State Police Command, on October 18, 2016, smashed a baby factory at Etche LGA, Rivers State, Nigeria where one Reginald Akagbuto and four pregnant teenage girls were arrested. 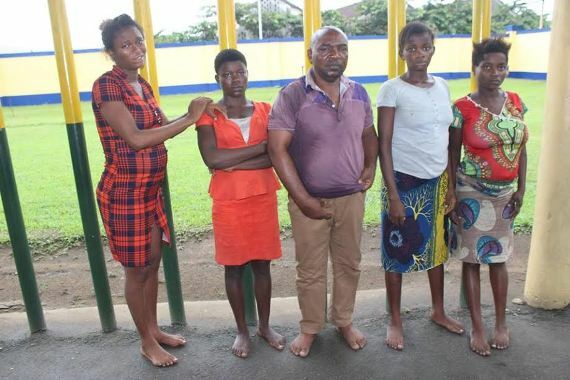 The four pregnant suspects arrested at the baby factory are: Oluchi Okorie, Chidinma Joseph, Ngozi Ekere, and Miracle Michael. They attributed their desire to sell the babies to lack of care and denial from their purported fathers.